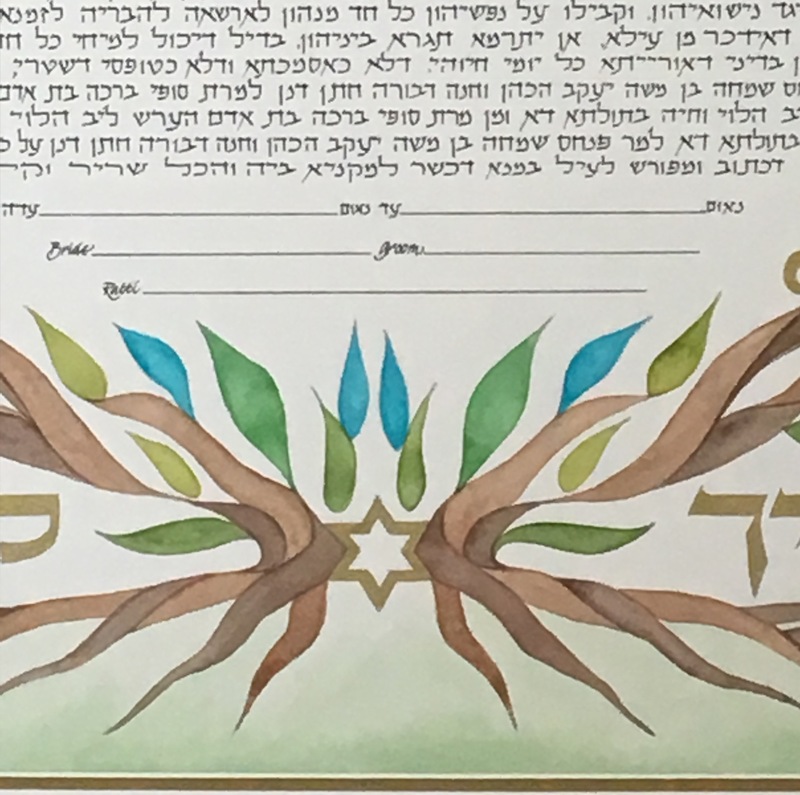 The bride and groom wanted a simple “tree of life” in blues and greens, surrounding a circular, hand lettered text. 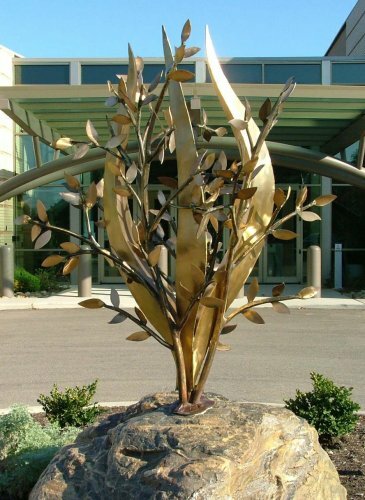 They requested the two mirrored sycamore leaves as an added significant element to their personal “tree of life”. 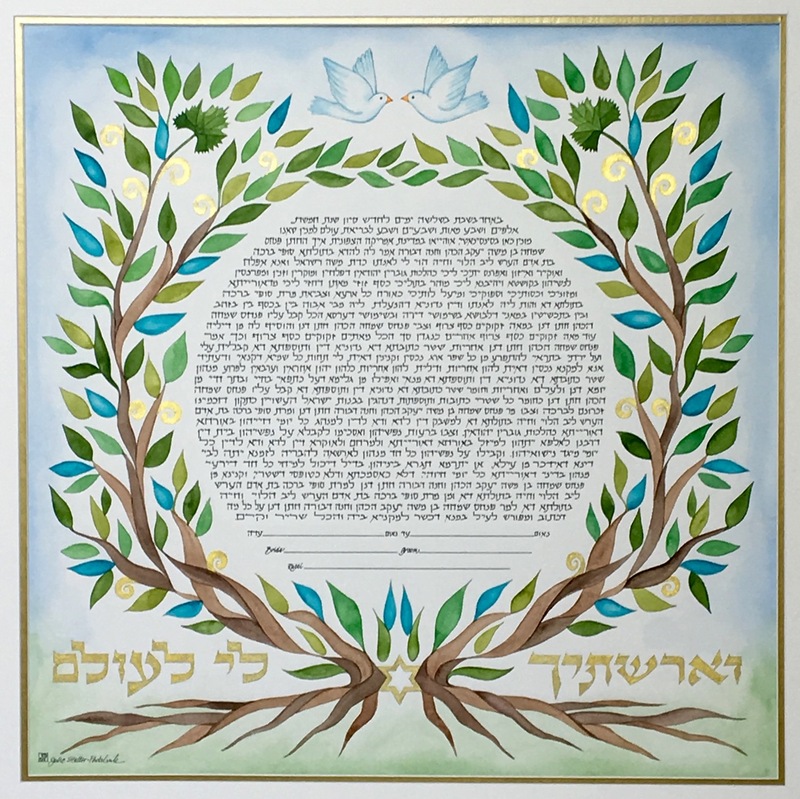 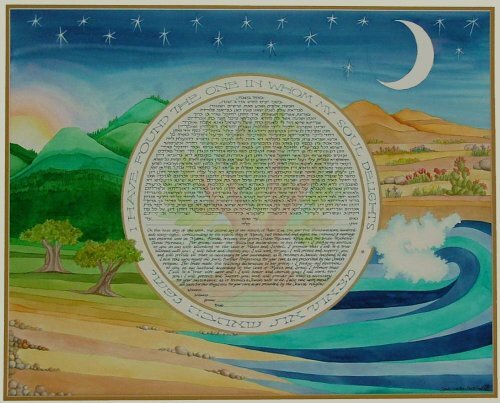 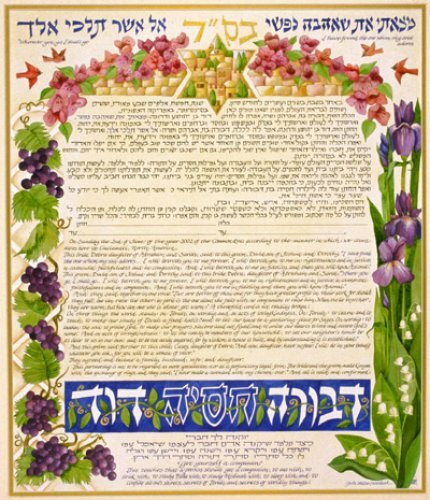 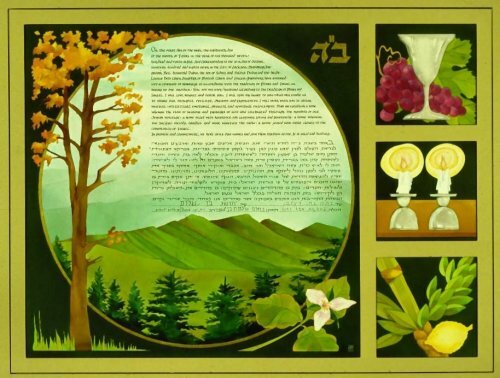 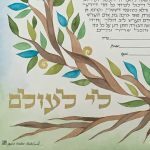 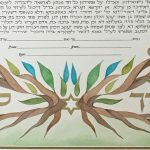 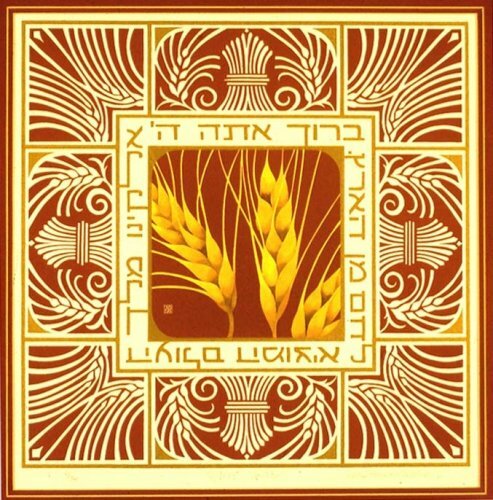 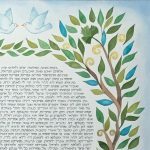 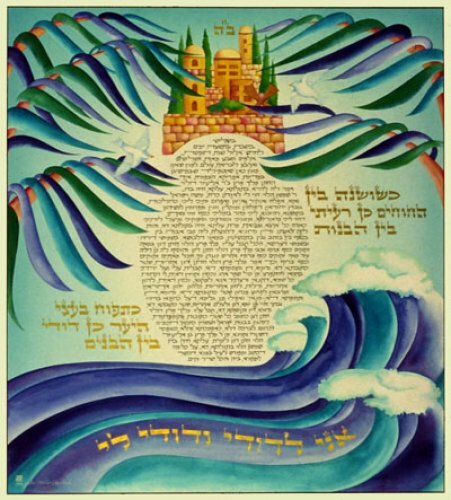 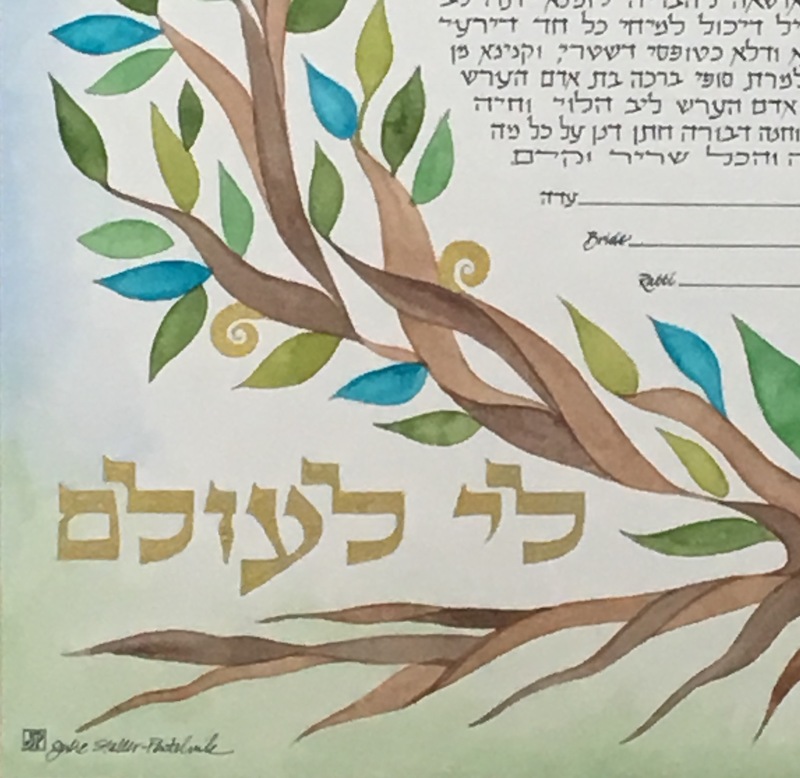 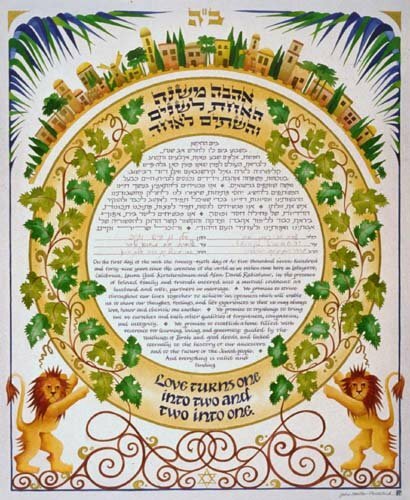 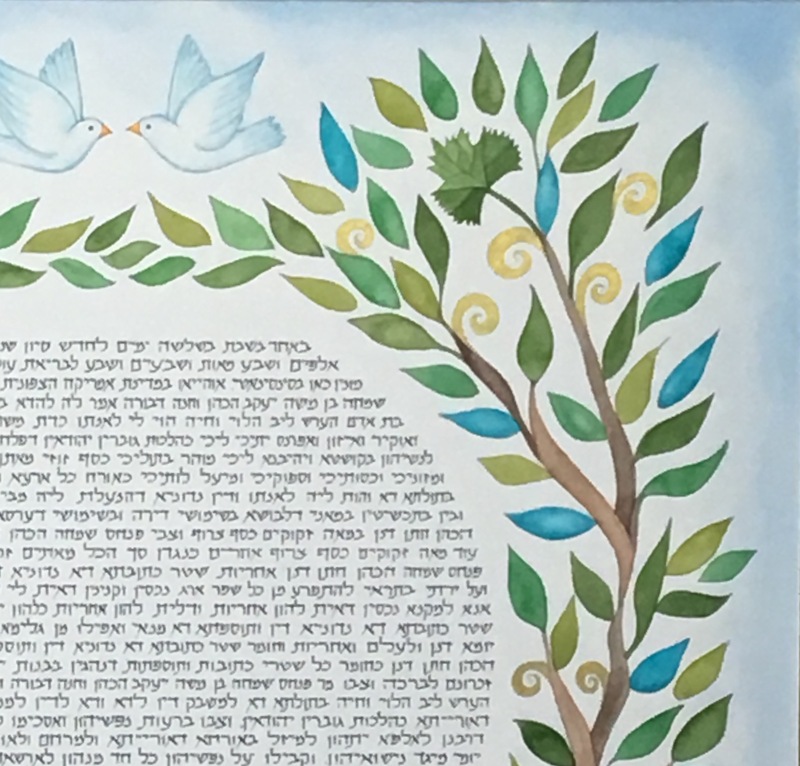 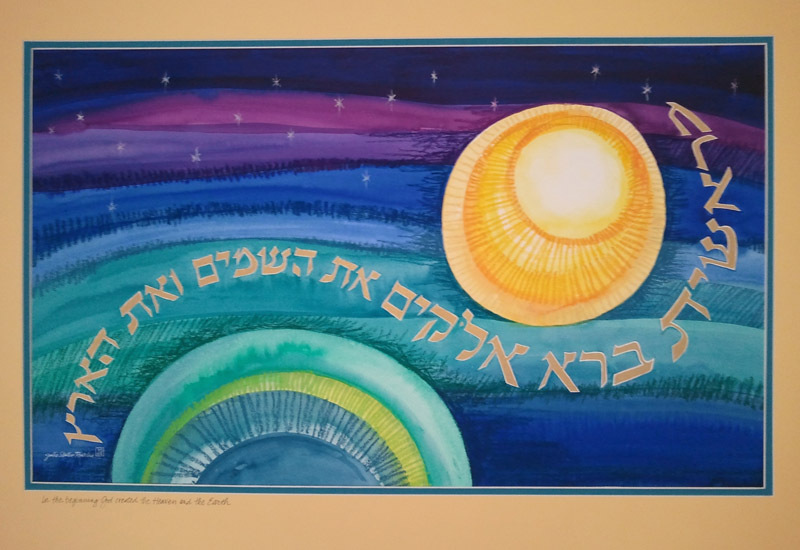 The Hebrew quote painted in metallic gold ink, above the roots of the tree: “And I will betroth you unto me forever”, was read in the Torah portion for the week of their wedding and was very meaningful to them.